The Helmcken Falls in Wells Gray Provincial Park in British Columbia, Canada fall 141 meters to the pool below. These falls are much higher than those in Niagara Falls in Ontario but the crowds are far less and the park is encompassed by wilderness. 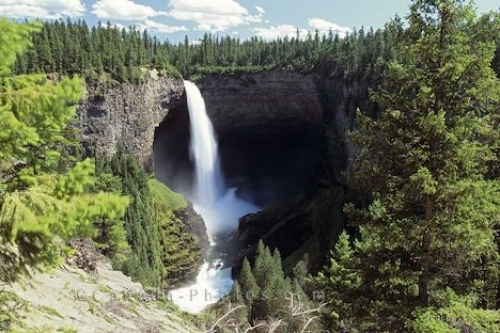 Wells Gray Provincial Park in British Columbia, Canada is known as a waterfall park as there are many within the park but the Helmcken Falls are the highest. Picture of the Helmcken Falls in Wells Gray Provincial Park in British Columbia, Canada.